Here’s a quick look at a few of the most popular blogging programs and open source Content Management Systems (CMSs) and why you might choose one over another. A good CMS or blogging program can be used for something as simple as a blog or as complex as a newspaper or magazine Web site. Not only can using these programs help save you time, experimenting with them will help you learn from other programmers’ experiences because as you see how they have created these tools, you’ll surely learn things that will help you if you decide what you might want to create your own custom site content management system. Hosted WordPress Blogs: Many commercial web hosting companies offer to install the WordPress software for you when you sign up for hosting. This option gives you the control of having the blog on your own server, without the technical challenges of installing it yourself. 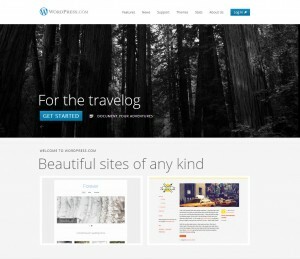 Pros: One of the most popular blogging tools among professional bloggers, WordPress offers tons of features, a gazillion templates to choose from. Setting up a basic WordPress site is remarkably easy (seemingly anoyone can do it) and it’s very easy to use the administrative tools to publish blog posts, add photos, and update the blog after it’s built (even if you don’t know HTML). If you are technically savvy enough, you can create your own template and CSS designs. The community of developers creating plugins and templates makes WordPress increasingly powerful and WordPress is increasingly used as a CMS for more complex sites. For pure ease of use and setup,Blogger.com is a popular choice, but you won’t have as many options for customizing the design or adding additional features. TypePad: Also well respected by professional bloggers, TypePad features advanced blogging options and loads of customizable templates. LiveJournal.com: One of the more popular blogging tools outside the United States, LiveJournal offers many options for serious and beginning bloggers. Pros: Offers more features than WordPress, including the ability to better manage categories and sub-categories, which makes Joomla especially popular for magazine-style sites. 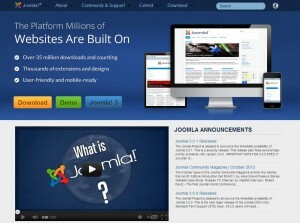 Cons: You’ll need some programming skills and advanced HTML/CSS knowledge to fully customize a Joomla site. Some programmers complain that the code behind the scenes in Joomla is not as well written as the code in WordPress or Drupal. Additional Resources: Also has many, many extensions that you can use to easily add special features, including polls, discussion forums, and shopping carts. Pros: Drupal is capable of handling very large, very complex websites, which makes it a common choice for managing the website for an entire university or a highly interactive, custom website. Drupal was designed by programmers for programmers, which makes this CMS one of the most popular among the most technical fans of Open Source software. 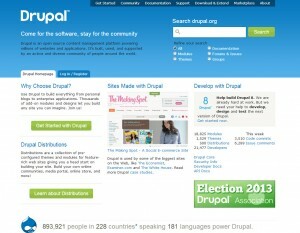 If you have the programming skills, you can do just about anything with Drupal. Cons: If you’re a designer, the learning curve on Drupal is a bit steeper than Joomla and you won’t find nearly as many templates. Additional Resources: Many extensions that you can use to easily add special features, including polls, discussion forums, and shopping carts.